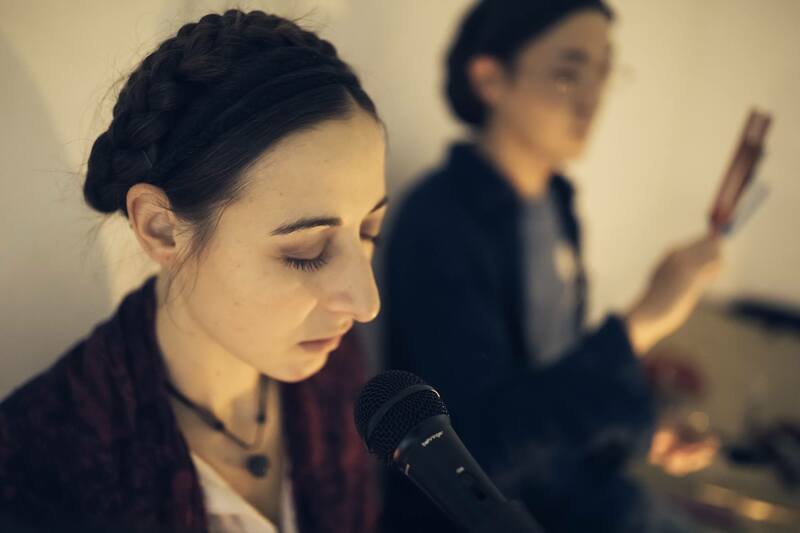 These workshops are born from the collaboration between Naoshi and Leiya. 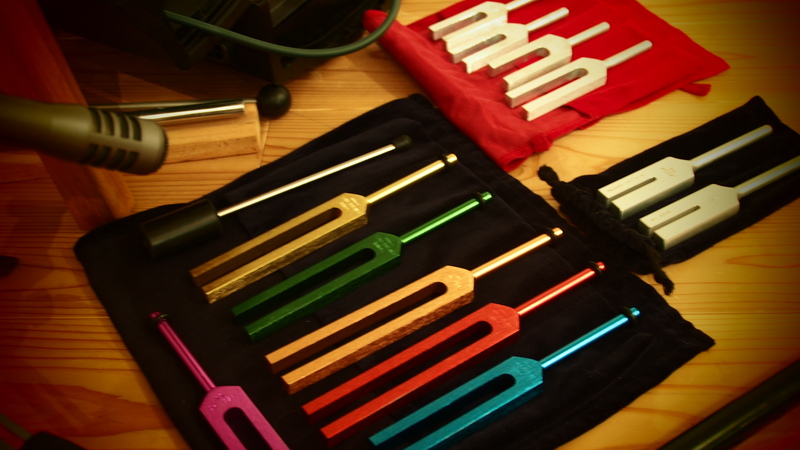 Naoshi is specialized in music, ambient DJ, composer and sound environment creator, “Access consciousness bars” certificated, and has been working for years with healing sound vibrations especially tuning forks. He studied also about Maharishi meditation. Leiya is your benevolent guide, your stewardess on this journey to the depths of your subconscious. She uses the energy of Reiki to reinforce the healing power of sound waves, her soft and captivating voice, and her creativity to make everything childish and enjoyable. It is like a guided meditation where you will enter a sweet trance, accompanied by healing sounds such as bowls of crystal, tuning forks, Tibetan bowls … You will then be invited to continue the journey in this sound universe between consciousness and subconsciousness, while you will receive a Reiki treatment from Leiya. 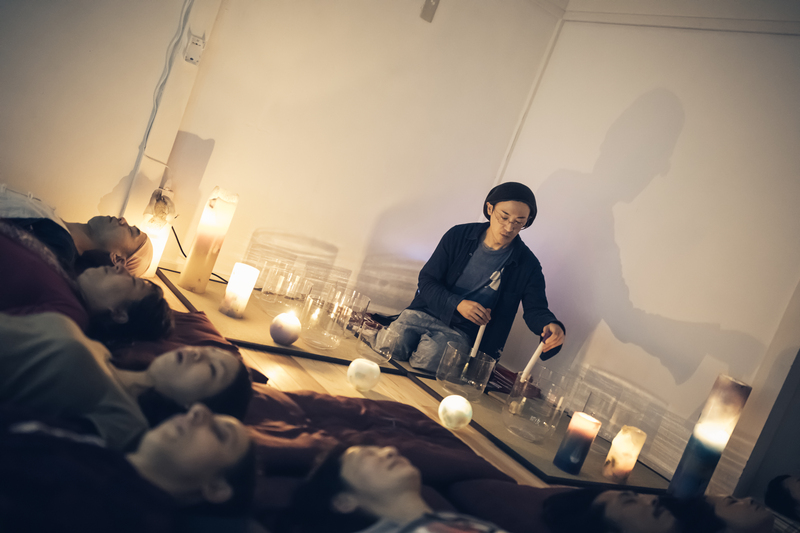 You just have to lie down and let yourself be transported: Naoshi and Leiya have this natural ability to offer you an environment of well-being, trust and letting go. In English and French, themes are born according to the present moment from a theme and according to the feeling of the need of the person / group, which Leiya “channels”. Those in Japanese are written and translated in advance. Possible in spanish as well (by request in advance). In group treatments, sessions are often bilingual. In the sessions in English and French, the “themes” are born according to the present moment, the energy of the month, and according to the underlying needs of the group. Leiya “channels” or “visualizes” stories on an established basis and thought upstream. For upstream sessions, they are viewed and written / translated upstream. Integration of deep positive changes in your life, release of physical and emotional tensions gently, energy balance of the body and cleansing of the soul, intense relaxation. 2h, including welcoming circle and sharing time at the end. It is possible to have individual sessions, as well as group sessions. Similar to the program above. We offer this complete package especially when requesting cleaning of places at an individual who does not have the financial means to pay the energetic cleaning of his living place and / or who would like to share this collective care with his friends / relatives. If you wish to have an energy cleaning of your home, see the HEALING / SPACE ENERGY CLEANING section. Self-massage, accupressure point to balance the meridian of the season, according to the calendar used in traditional Chinese medicine. Reprogramming positive thinking: A brain gym movement is to be performed while repeating a positive sentence aloud. You prepare your reception area: tidy, clean floor, pushed furniture so that everyone can lie down. Provide blankets, cushions, and ask your friends to bring them if necessary. 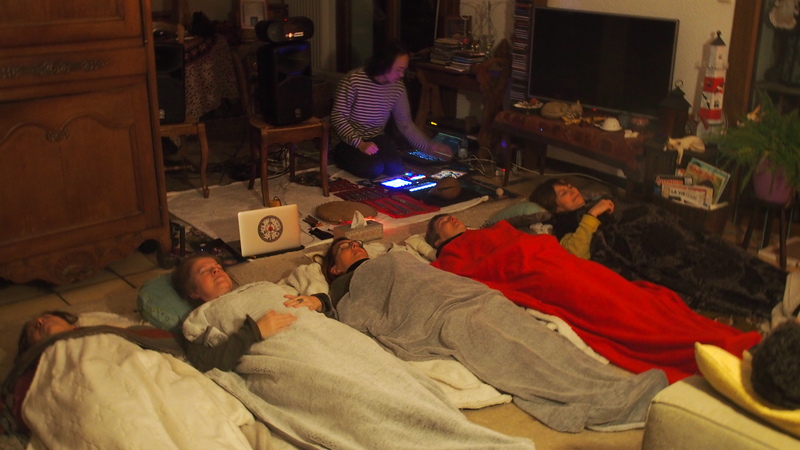 You invite your friends who will all receive an energy treatment at the same time (we make the facebook event with the detailed program and the poster, you only have to share it or send by email, or pass the info by phone). Ideally 5 people is a minimum, up to 12 or more, depending of your living room size 🙂 We can discuss about it. Allow 30min to 1h (ideal) of available before for our installation before the course. If you have a sound system, please tell us what you have, so we know what we need to bring.